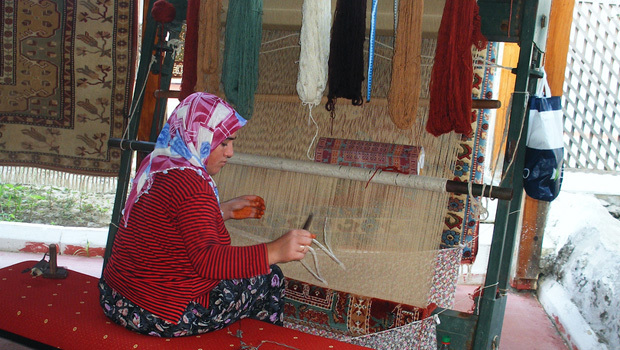 Hand made Turkish carpets have been sort after throughout the world for hundreds of years. Today, many carpets are still hand made by unknown village 'artists'. It can take from several months to years to complete a hand made carpet. From passion to pilgrimage, these specialty tours are a must for those visiting Turkey with a mission. Pay homage to the ANZAC legend at Gallipoli’s long mute battlefields or hike through Turkey’s diverse landscape, smelling fragrant herbs growing wild by the roadside. Make a pilgrimage in the footsteps of St Paul or marvel at great historic Artwork and Architecture. Just try and resist the spicy aromas of traditional Turkish fare ... created by you! These tailored, speciality or classic tours have been designed and tested by our Turkey travel experts to ensure your Special Interest Tour is beyond exceptional. Turkey’s most distinct accommodation welcomes the small tour groups, numbering no more than 15. From the moonscape of Cappadocia to Mediterranean cliff faces Special Interest Tours offer a rare glimpse of the real Turkey.